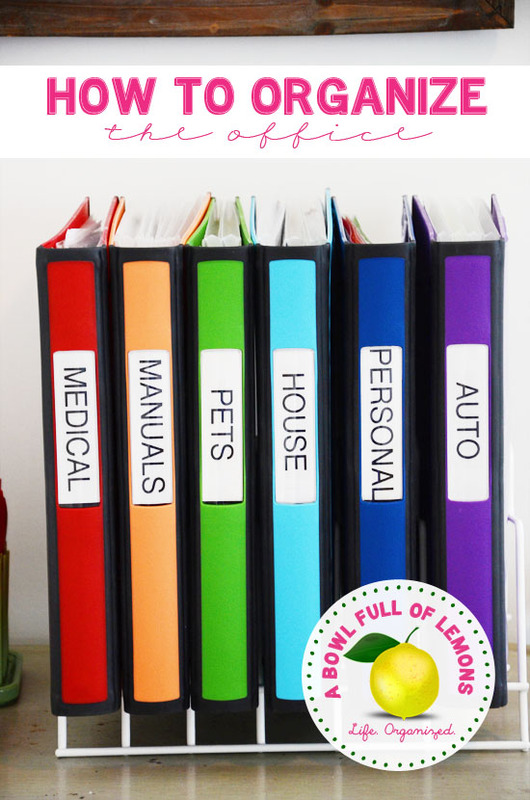 This is my all time favorite post on organizing your office! I was in awe of how beautiful and how organized this office is! Toni, from A Bowl Full of Lemons, is the owner of this lovely space. I instantly fell in love with how she color coordinated her books on the shelf! But then when I clicked over to read her post, I was absolutely blown away by how she organized her office. 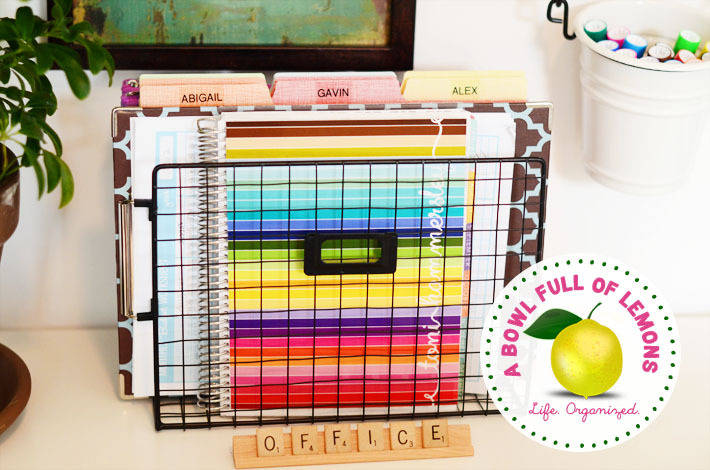 She shares her organizing tips in each space of her office. I love how she breaks down her filing system because who doesn’t need help getting their paper clutter under control, right? This blog post has a ton of more pictures and great advice all through it! It is a MUST READ if you desire to be more organized. Click HERE to visit A Bowl Full of Lemons and prepare to be amazed!!! i would like to know more about the binders that have medical, house, manuals, etc have in them. What type of things do you have in them. Are there pocket pages, bills, important papers etc. Just click on the link at the bottom of the post, and it will take you to the original blogger who posted this idea. You should be able to find more info there.